I brought a small container of saffron back from New York and have been waiting to use it. 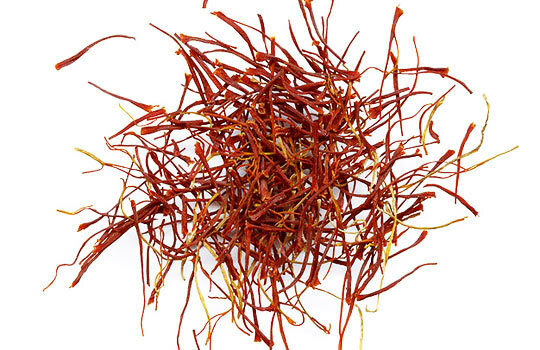 As the world’s most expensive spice (a pound of dry saffron requires at least 50,000 flowers and 15 hours of manual labor) you can’t just use the stuff willy nilly. On the other hand, a little does go a long way, especially if you soak it in liquid first. But what to use it on? My last saffron recipe, Rigatoni with Wine-Braised Chicken and Saffron Cream, would be hard to live up to. I’d been craving risotto, so Risotto Milanese it was. 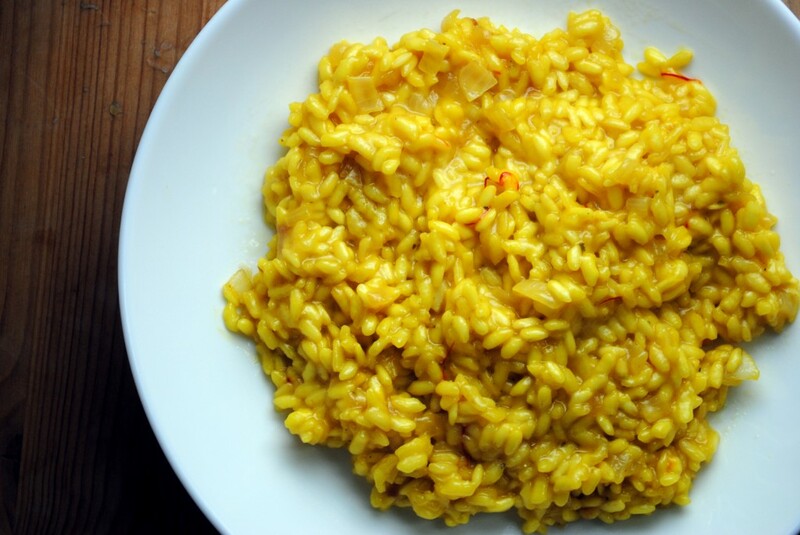 Risotto is one of the simplest dishes in theory to make, but one of the hardest to get just right. I find that recipes often claim the risotto will be done 15 minutes after you start adding the broth, and mine always takes at least half an hour. In the past I’ve tried to pour the broth in a bit at a time and stir constantly. This time I stirred less with much better result. I like my risotto al dente but not hard, creamy but not soupy. A hard balance to reach indeed. This dish really comes together in the final minutes as you add the butter and cheese. Heat the olive oil in a large skillet over medium heat. Add the onion and cook until softened and translucent but not browned, 8 to 10 minutes. Meanwhile add the saffron to the stock, stirring to infuse. Once the onions are translucent add the rice and stir with a wooden spoon until toasted and opaque, 3 to 4 minutes. 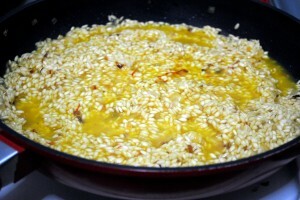 Add the wine to the rice, stir, and allow to cook for one minute. 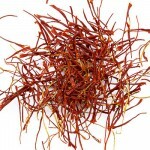 Add a 4 to 6-ounce ladle of the saffron-infused stock and cook, stirring, until it is absorbed. Continue adding the stock a ladle at a time, waiting until the liquid is absorbed before adding more. Cook until the rice is tender and creamy and yet still a little al dente, about 30 minutes. Stir in the butter and cheese until well mixed. Serve the risotto in shallow bowls and top with additional grated Parmesan. 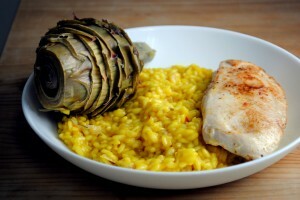 I made this meal complete with the addition of Artichokes alla Romana and grilled chicken.